The Greek word "koinonia" means fellowship or life together. Paul uses it in the New Testament to refer to the family-like ethic of the early church. That is what we hope to recreate in this youth group. We want to be a group who shares in life together and becomes a family, loving each other and the world around us as daughters and sons of God, saved and set free by the life, death, and resurrection of Jesus Christ. 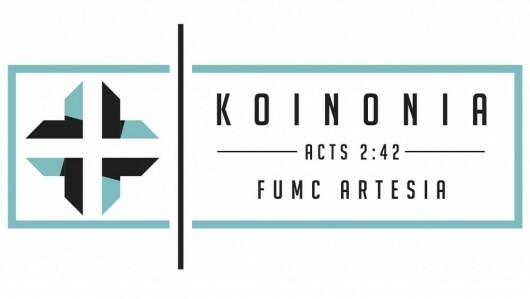 The main verse that refers to koinonia is in Acts 2:42 where it says that the church "devoted themselves to the Apostle's teaching, the fellowship (koinonia), the breaking of bread, and prayers." This verse is what defines our group. We are devoted to learning the Scriptures, to loving and supporting each other, to worshipping and remembering Christ's sacrifice for us, and praying for each other and our world. Our mission as a church is Making disciples of Jesus Christ for the transformation of the world. Through Koinonia our hope is that students will grow in their faith and knowledge of Christ in our weekly gatherings and that they would put that faith into action through launching out into missions work. We do this through annual mission opportunities here in our community as well as mission trips throughout the United States. Join us at any of our gatherings listed above. If you need more information or have any questions please email Russ.